On a happier note we are welcoming three amazing new design team members - Deidre Payne, Sherrie Mannion and Jacquie Southas! Be sure to check out their blogs and give them all a big warm welcome! 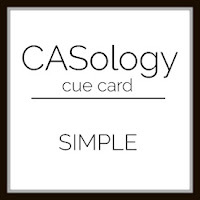 We have a pretty "simple" cue word for today! :) It allows for a pretty wide interpretation. I've used it in two ways - with my sentiment and also in keeping my one-layer card super clean and simple. I was really tempted to glitter it up or add some embellishments but thought that would take away from the simpleness so I left it bare. Be sure to check out the gorgeous inspiration from the rest of the design team and then play along with us! So sweet and simple, Jen! Reminds me of Johnny Appleseed. Love it! Perfect. Love your touch of coloring. 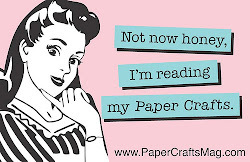 Love this image with that simple sentiment! The bold colors are great for this CAS design. Good on you for using this cue word multiple ways! The tree and sentiment work so well together in this clean design. 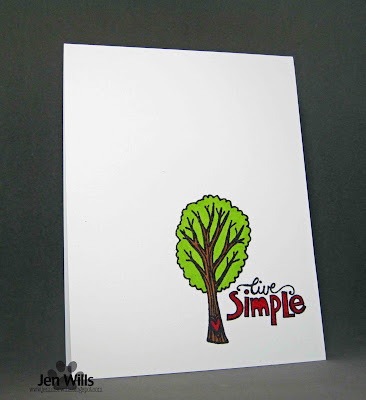 Wonderfully simple card Jen! Look forward to creating with you! Too cute Jen, love the little heart on the tree! Love this Jen, that tree is just so cute and your colouring is perfect! This is so cute and clever...has a Dr. Seuss book feel to it, I LOVE it! Hey Jen!!! I love your card. Its so cute and simple!! Your coloring is great as well. Nicely done. The 2 of us have been thinking alike Jen! Let's hope we will be able to live life simple this year! Wishing you a fabulous 2016!